Justice in SJSU 'Justice Studies' Department? Justice in SJSU Justice Studies Department? Faculty, staff members and students at San Jose State University are calling on administrators to conduct a deeper investigation into what happened after a department head admitted to using money from a campus bank account to buy personal items last year. They question whether justice was served inside the university’s Justice Studies department, where former department head Dr. Mark Correia made personal purchases using an unauthorized checking account, which was funded by student money. SJSU’s investigation concluded that the university found “no fiscal impropriety,” despite acknowledging Correia’s use of the checking account for personal expenses. That conclusion has angered Justice Studies associate professor, Sang Kil and former administrative support coordinator, Gilbert Villareal. An official investigation by the SJSU finance department followed. It found that Correia had used nearly $7,000 for items such as plane tickets, parking tickets, wireless phone charges and an iPad. During its investigation, the university learned that the checking account was funded by student purchases of items such as department apparel, summer camp fees and convocation tickets. After Correia was questioned about the unauthorized bank account—and after he closed it, admitted to misusing the funds and returned the money—the university’s investigation found that “there was no indication of fiscal impropriety” and no deliberate fraud, theft or embezzlement. Students who make up the campus group, Student Coalition for SJSU Accountability, also organized an online petition calling on the university to conduct a more thorough investigation. The petition has generated more than 300 signatures so far. Students Michelle Pujol and Latu Tapaatoutai said that the university’s conclusion of no fiscal impropriety reinforces a double standard for non-students. The students, faculty and staff members say they want the university to dig deeper into other decisions Correia made as Justice Studies department head. They claim that Correia awarded contracts to close friends worth tens of thousands of dollars. After declining our requests for an on-camera interview we met the university’s Vice President of Administration and Finance on campus to answer questions raised by professors, staffers and students. Shawn Bibb said he is satisfied with the results of the investigation that his department conducted. Specifically, the Investigative Unit asked how his investigation could conclude there was no fiscal impropriety after discovering the unauthorized checking account and more than two dozen personal expenses. Bibb did confirm that he turned the findings of his investigation over to the Provost’s office for possible disciplinary action. He also confirmed that he elected not to provide the findings of his investigation to SJSU campus police for its review. The university sites policy in saying it cannot confirm or deny if Correia was disciplined for his use of the checking account. 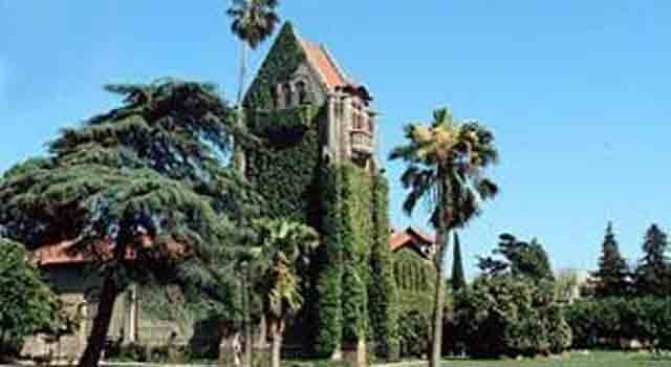 Following the investigation he left SJSU to become a dean at the University of Indiana in Pennsylvania. Several calls and emails to Correia were not returned. Though the Investigative Unit gave him multiple opportunities to address questions, his only comments on the matter live in the report produced by the university’s finance department. In a statement released to NBC Bay Area late Wednesday, SJSU wrote: "An investigation by San Jose State uncovered the misuse of university funds by a now-former academic department chair. The misappropriated funds were repaid to SJSU, and the person responsible left the university a short time later. We are fully committed to safeguarding the resources entrusted to us by students and taxpayers."